I truly found a kindred spirit in Allen and Linda. They believe, as I do, that we should always view our animal companions with respect and appreciation. Because when you look into the eyes of an animal, what you will discover is a spiritual SOUL that is experiencing this lifetime as your dog, or cat, or horse. For those of us who have witnessed and been forever blessed by an animal’s love, this is for you! Enjoy. In 1996, Allen Anderson and Linda Anderson founded the Angel Animals Network in Minneapolis. 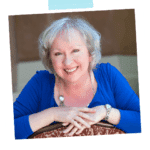 Their fourteen books about the spiritual qualities of animals have been featured on Oprah.com, the Today Show, ABC’s Nightly News, BBC Radio, Washington Post, LA Times, Amazon.com’s Hot 100 and B&N’s Top 10. The Andersons’ 2006 book about animal rescue won the prestigious American Society of Journalists & Authors Outstanding Book Award. They received commendations from the Governor for their contributions as authors to the state of Minnesota. Allen and Linda teach writing at the Loft Literary Center in Minneapolis and donate a portion of their books’ proceeds to animal welfare. Why Allen wrote the book with his wife Linda. Allen’s diagnoses of a brain aneurysm that could burst anytime and a blood clot aimed at his heart and the miracle of how these two conditions were discovered. How Allen’s dramatic healing journey synchronizes with the adoption of an emotionally scarred dog who also needed to heal. 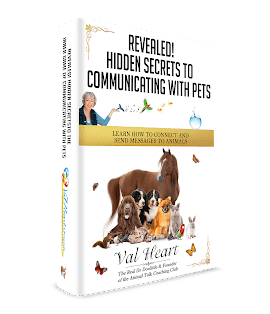 What role did animal communication play in the dual healing journey with Leaf and Allen? How and why Allen and Linda started Angel Animals Network. You should always view your animal companion with more respect and appreciation and when you look into the eyes of your beloved pet, you will see a SOUL that is experiencing this lifetime as your dog.